In a move that has left a lot of people stunned, we have some major shake-ups when it comes to the upcoming X-Men movies. 2018 was going to be a year where we got three very different X-Men movies, but that narrative isn’t the one we’re going to get. All three of these date changes come from The Hollywood Reporter and they are all justified — save for one. 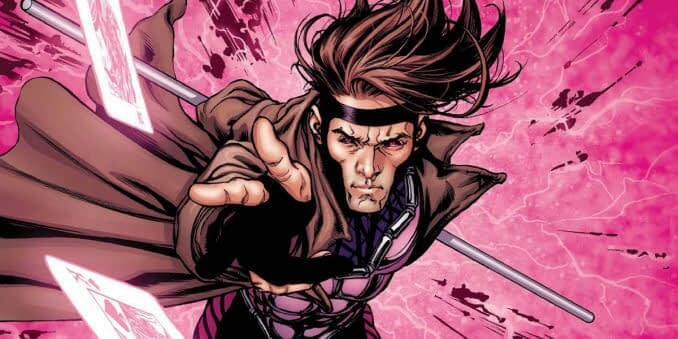 Let’s get the most obvious one out of the way first: earlier this morning we reported that Gambit has lost its third director. Production for the movie was set to begin in March, but now Fox has to find yet another director and figure out whatever problem made Gore Verbinski leave. The release date has moved from February 14th, 2019 to June 7th, 2019. This means that the studio can push back production until the summer and give a new director time to settle in. The Hollywood Reporter is reporting that the studio is still confident in the project despite losing its third director. The horror movie The New Mutants, which was slated for an April 13th, 2018 release date, has been pushed back 10 months as it takes the February 14th, 2019 release date left vacant by Gambit. This is one of the biggest surprises, considering the movie already has a teaser and has begun a marketing push. The logic that insiders are using, according to THR, is that The New Mutants would overlap with The Untitled Deadpool Sequel, and they don’t want two X-Men movies at the box office at the same time. This is a bit odd, since the reception for The New Mutants has been generally positive. Maybe they want to do some reshoots, too. Which lands us on our third release date move — the one that could have been the catalyst for The New Mutants delay and the one that makes almost no sense. If anyone has taken the time to look at the calendar they should know that May 2018 is a packed month already with Avengers: Infinity War on May 4th and Solo: A Star Wars Story on the 25th. Now we can expect the untitled Deadpool sequel right in the middle there. The movie is moving from June 1st to May 18th, meaning it is going to be directly competing with not only the latter weeks of Infinity War but against Solo the following weekend. Now, Fox could just have a lot of faith in their property. Maybe they are buying into the narrative that Solo is destined for failure. Maybe they know something that the rest of us don’t; there have been more rumors about more reshoots for Solo, and maybe they are going to end up delaying the movie until the fall or winter. We’ll have to see. At the moment, May 2018 looks so packed for nerds that our precious little hearts won’t be able to take it.